Michele Howell joined the University Public Affairs staff in April 2017 as the new FOIA officer for the university. She is responsible for managing the university’s obligations and compliance with the Virginia Freedom of Information Act (FOIA) and serves as the primary contact for all inquiries and requests related to FOIA. Howell coordinates and drafts official responses to routine and complex requests for information across departmental units working closely with senior administration and the Office of University Counsel. She is also responsible for outreach and education of university staff regarding FOIA. Prior to joining VCU, Howell served as the legal issues coordinator and FOIA officer for the Virginia Department of Corrections for four years. In this role, she provided legal research, policy interpretation and support services to executive and departmental staff while managing agency compliance with Virginia FOIA. This included responding to complex requests for information on a wide range of highly sensitive subjects such as conditions of confinement, restoration of rights and the death penalty. Previously, Howell served as a legislative staff research associate for eight years with the Division of Legislative Services, the legal and research agency supporting the Virginia General Assembly. 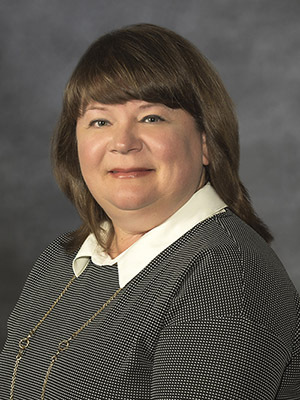 Howell graduated with a bachelor’s degree in English from the University of Richmond in 1992 and a master's of education degree with a concentration in student personnel services from Virginia Tech in 1994.